Just a month after the death of Steely Dan’s Walter Becker another true music ‘great’ has left us. Tom Petty, best known as the leader of Tom Petty & the Heartbreakers, died suddenly of cardiac arrest at the age of 66. After more than 40 years in the business he was still churning them out. His last studio album with the Heartbreakers was 2014’s Hypnotic Eye, but his most recent offering was the second LP by Mudcrutch, the name of the band he co-founded in 1970, released last year. He had just completed a US tour with 3 sell-out nights at the Hollywood Bowl. 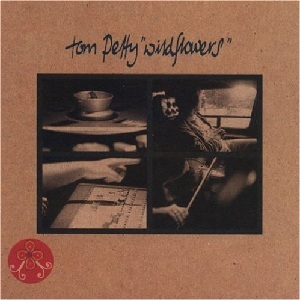 I discovered Tom Petty relatively late, around 1997 or 1998, when I bought a second-hand copy of Wildflowers, which I still consider one of his best albums. I was instantly hooked. 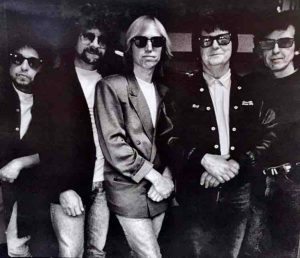 I lapped up his back catalogue and bought every subsequent CD, not just those with the Heartbreakers, but his solo albums and the two recordings by supergroup The Traveling Wilburys in which he was joined by Bob Dylan, Jeff Lynne (of ELO fame), Roy Orbison and George Harrison no less! I was able to cross out one of the items on my bucket list when my son and I saw the band live in Dublin in 2012, a dream come true. They were magnificent. Needless to say I got the T shirt! Sadly we’ll never see him perform again, but if you’d like to know more about the man, the band and their music get hold of Peter Bogdanovich’s excellent 2008 documentary Runnin’ Down a Dream. 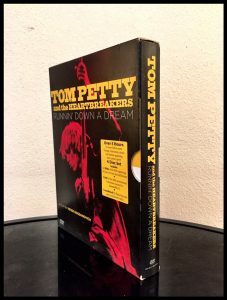 The 4-disc set includes the 30th anniversary concert Petty and the Heartbreakers gave in his hometown of Gainesville, Florida in 2006. Before you do that though, give the playlist below a listen. 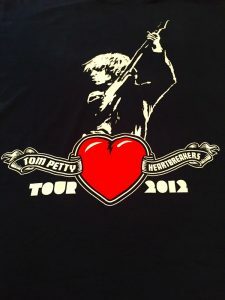 It’s an hour’s worth of my favourite Tom Petty tracks. I hope you enjoy them as much as I do. 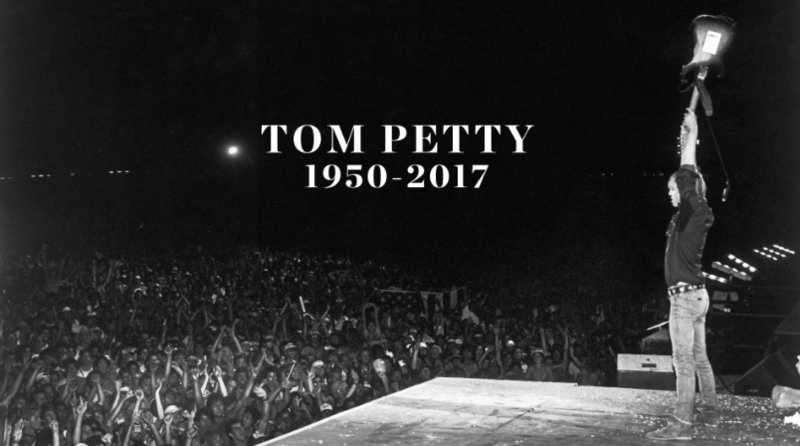 Rest In Peace and thank you Tom, your songs will live forever.